The updated, clean lines of the Bellwether Bath coordinate with a variety of products. Made of KOHLER Cast Iron, it incorporates an integral apron and 3-sided flange for ease of installation. It comes in a number of KOHLER colours to match your bathroom decor. The natural rhythm of water can be found in the hypnotic cascade of a waterfall, a tranquil brook, and the exhilarating rush of rapids. The RiverBath whirlpool brings home these natural sounds and rhythms combined with mood-enhancing colour light therapy. Rapids, whitewater, and whirlpool settings offer a full range of water massage treatments at the touch of a button--in a spacious bath sized for multiple bathers. 5.5 ft. 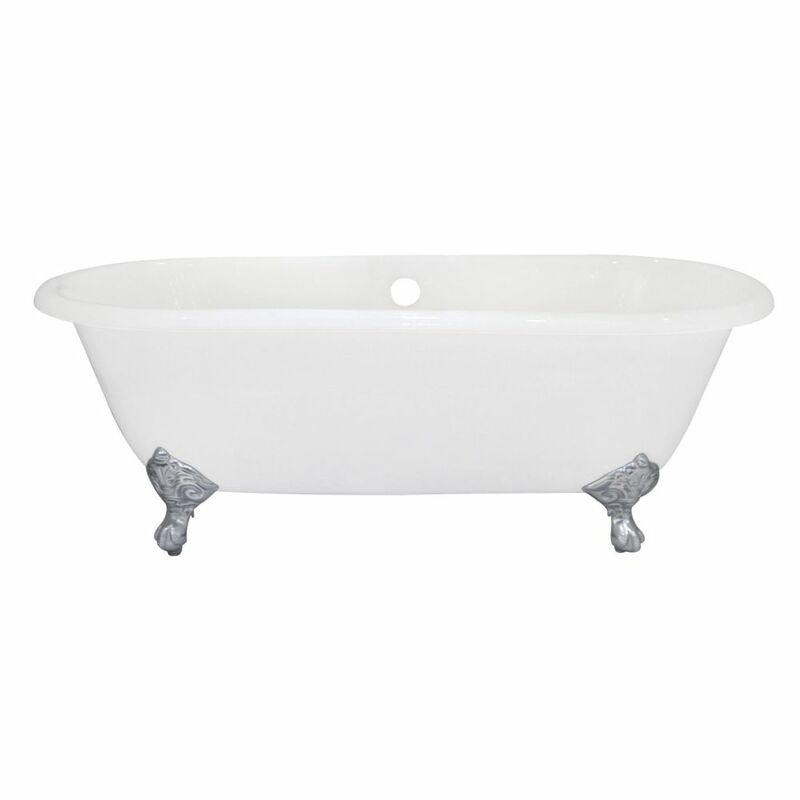 Cast Iron Polished Chrome Claw Foot Double Ended Tub in White This classic 66 inch cast iron claw foot tub adds a vintage touch to your home bathroom. With timeless styling and ornate tub feet, this tub will provide warmth and durability because of its cast iron construction. Without pre-drilled faucet holes it will require the use of freestanding tub filler or wall-mount tub filler for use.